Lage Lund is acclaimed not only as one of the finest guitarists of his generation, but also one of the most compelling jazz artists in the world today. 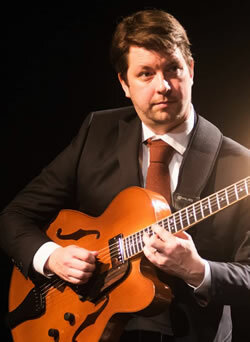 A regular in the "Rising star – Guitar" category in the Downbeat Critic's Poll, he has been hailed by Pat Metheny as a favorite young guitarist, and is "all music and all soul" according to Russell Malone - one of the judges who awarded Lund top prize in the 2005 Thelonious Monk International Jazz Competition. Armed with a mastery of the standard repertoire and a growing and impressive body of original compositions, Lund swings with great authority, displaying a staggering harmonic sophistication and a singularly fluid voice as a soloist. He also brings a "casually magnetic" presence to the stage, "channeling reticence into a whisper-quiet mystique" (New York Times). Born and raised in Norway, Lund relocated to Boston after high school on a scholarship to Berklee College of Music. In 2002 he moved to New York and soon became the first electric guitarist ever to enroll at the Juilliard School of Music. In the years since his Monk Competition victory, he has become a sought-after sideman with the David Sanchez Quartet, the Maria Schneider Orchestra, Mark Turner, Seamus Blake and many more. 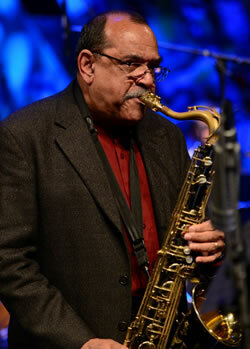 Two-time Grammy Award winner Ernie Watts is one of the most versatile and prolific saxophone players in music. It has been more than fifty years since he first picked up a saxophone, and from age sixteen on he has been playing professionally, initially while still attending school. Watts has been featured on over 500 recordings by artists ranging from Cannonball Adderley to Frank Zappa, always exhibiting his unforgettable trademark sound. In 2014, Watts received the prestigious Frankfurt Music Prize given by the city of Frankfurt, Germany. It is presented to both classical and non-classical musicians. Of the 32 current winners, only 6 have been jazz musicians. Per the Frankfurt Music Prize Foundation, Watts was "selected for his strikingly melodic saxophone style and his original tone language, with which he has already enriched several generations of musicians. "Previous jazz honorees include Chick Corea, Paquito D'Rivera, and John McLaughlin. The Ballard Jazz Festival now has 501(c)(3) Non-Profit status as an associated program of Shunpike. See how you can join our Founders Circle!